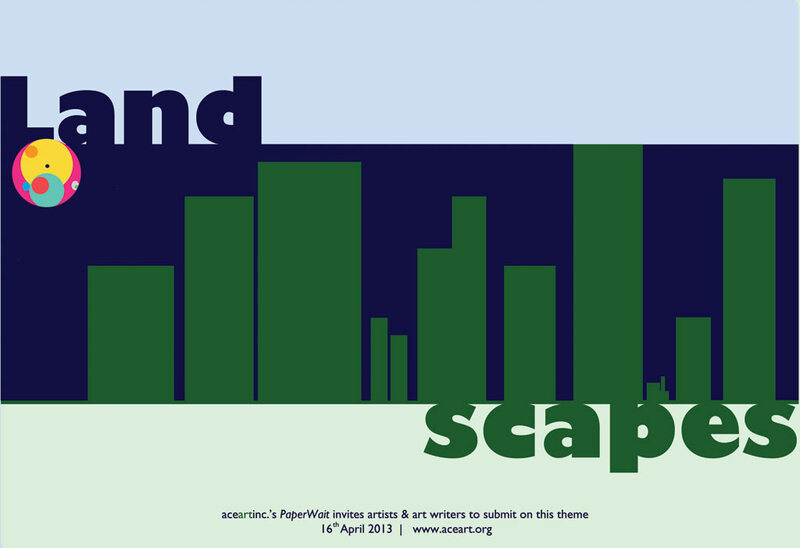 L A N D S C A P E S.
PaperWait is an annual publication published by aceartinc. that covers our programming year- in this case July 2012 to July 2013. It is primarily made up of the texts produced through our Critical Distance writing program that encourages critical writing and dialogue about contemporary art but it is also an archive of the year’s regular and special programming. Each issue of PaperWait includes an edited section of artist pages and arts writing that provides an opportunity to more artists to have their work included. -Please submit one image with full title, medium, date and artist’s name. -The image should not exceed 1024×768 pixels, 72dpi and/or 50kb. Please submit a synopsis of no more than 400 words for an essay of no more than 1500 words that engages with themes, theories, or artists connected with ‘landscapes’ within the realm of contemporary art. Deadline, 4pm Tuesday 16th April 2013.